The Wednesday Call (TWC) for December 6, 2017: Andy Albright hosted this week's The Wednesday Call live from The Alliance headquarters in Burlington, N.C. in the newly renovated AMP Studios. Andy recognized the latest Good Samaritan Bonus winners for the month of November and announced two new members of SEAL Team 20. 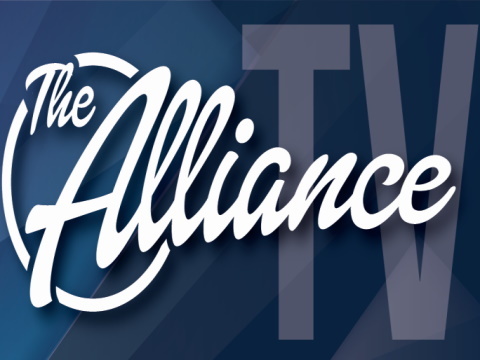 Jeff Bright joined Andy on the show to talk about the What, How and Why that can drive The Alliance. The Live Show will air again on December 13, 2017 at 12:30 p.m. EDT. The Wednesday Call (TWC) for November 29, 2017: Quit listening to everybody else's opinion. Why are people offended by everything? When you use your head and take action, that is belief. As you grow, you will experience different problems. Will you pay the price, do you see that it is worth it? What did you do when you had a shot? "What could you do if you did what you could?" If you give 100 percent you will be shocked by what you have to deal with. Who you become will be determined by who you hang out with, what you listen to and what you read. Find a rhythm and stick with it. Stop hesitating. The Live Show will air again on December 6, 2017 at 12:30 p.m. EDT. November 24, 2017: Mike and Noelle Lewantowicz host today's Activity Call and have a plan for you!! November 17, 2017: On the Activity Call Andy Albright will be announcing the winners of the October Alliance Air Top 33 Veterans and Top Rookies GSB Contest AND the Raise the Roof Raffle contest! The Wednesday Call (TWC) for November 15, 2017:Today's episode of The Wednesday Call was hosted by Chadwick and Melanie Ray, and began with an overview of last week's Instant Thunder and the excitement generated that is now rampant in The Alliance. They encouraged everyone to get their tickets to NatCon NOW, no excuses. Andy Albright had asked the Rays to discuss the mindset they had in achieving the $100,000 mark. Melanie interpreted that to mean she needed to share how to get to a place you have never been before. As a fourth grader, she was criticized by a teacher for a project she turned in where she listed her goals in life. Melanie was determined to be more than her demographic said she could, yet the critique from her teacher affected her self-esteem. Despite her lack of confidence, she was a natural leader. That quality is what earned the attention of Chadwick while they were college students. Chadwick Ray had grown up doing what he had to instead of what he wanted to do. His motivation was often his mother's discipline. He always thought if you got an education and then a good job everything would be okay. Chadwick never felt the desire to do better until he met Melanie. Her leadership provided the needed spark to reach for higher dreams. Both Chadwick and Melanie were struggling to make ends meet when they heard about The Alliance. Chadwick drove over 3 hours to attend his first Hot Spot meeting and was skeptical, but hopeful at the people in attendance and their excitement. Knowing what she knows now, Melanie feels she can PROMISE new agents that it will work out. Why? The blueprint is there in the "8 Steps to Success." 1. Practice what you preach by writing business on yourself and family and encouraging your team to do the same. 2. Do the work and track your results. 3. and 4. Listen and read. 5. Attend hotspots and national meetings. 6. Be open to teaching and guidance. 7. Make yourself accountable. 8. Keep a positive attitude when communicating with others. Imagine your goals and dreams are in a vault and the 8 Steps are what you need to open it. You need the right combination for it to work. You cannot leave out a step, and they may vary in sequence. But entry is guaranteed if you follow them. The Live Show will air again on November 22, 2017 at 12:30 p.m. EDT. November 3, 2017: On this episode of the Alliance Activity podcast, your guest host Paul Roberts shares how you can show people your heart and build trust with people faster.